Middle School Teens (6th- 8th grade), get ready to make a SPLASH and take on our inflatable obstacle course. Enjoy swimming, music, s’mores and endless water fun. Teen Scene events are open to teens regardless of school or city affiliation, so bring your friends for a fun and memorable time. 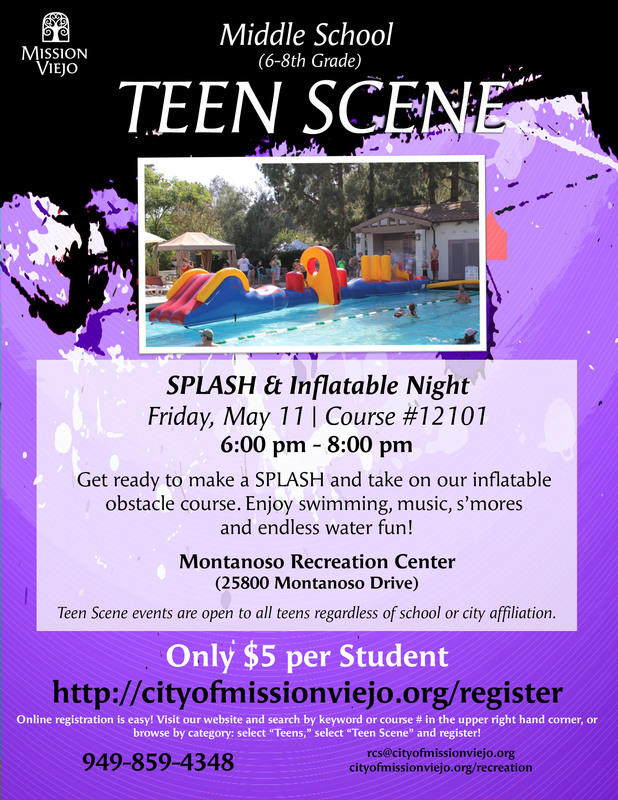 For more information, view our Teen Scene Flyer.